Massapequa, New York is a medium-sized coastal community that is both CDP and hamlet in the town of Oyster Bay in Nassau County. The community has 11 neighborhoods and is the 76th largest community in the state. The community has high rates of home-ownership, wonderful public schools and is family friendly. It is nautical in nature, which is to say there are scenic waterfront views, a rich history connected with the sea and countless waterfront activities. Like much of the coastal northeastern United States Massapequa has warm, humid summers and cold often snowy winters.It is a relatively wealthy community when compared to state and national statistics and is decidedly white-collar in nature. Over 87% of the workforce hold white-collar positions and over 43% of adults in the community have four-year degrees or higher. It is racially and ethnically diverse and English is the primary language. Many residents also speak Spanish or Italian. The community is named after the Massapequa tribe ,which is one of thirteen native tribes that originally inhabited Long Island. Like most of Long Island, European settlers arrived in the area in the mid-1600s and slowly, but surely worked and developed the land. Over the years, Massapequa has gained some shady notoriety as the home of a number of possible mobsters and one infamously unfaithful and unlucky man named Joey Buttafuoco. In October of 2012, Hurricane Sandy wreaked havoc in Massapequa. The over-all damage was staggering, especially in the areas south of Merrick Road. Throughout its history, the community has been home to many notable people, including the Baldwin brothers, reputed mobsters Roy DeMeo and Carlo Gambino, MMA fighter Phil Baroni, Marvin Hamlisch, Poet Laureate Daniel Thomas Moran and many others. The community spans four square miles. In 2010, the population was a thriving 21,685 and the per capita income was $48,154. By 2013, the estimated median household income for Massapequa was $120,154 and the per capita income was $48,333. In the same year, the median house or condo value in the community was $477,154, the mean housing price on all housing units was $521,906 and the median gross rent was $1,994. These figures reveal a thriving community that is steadily growing economically and physically. 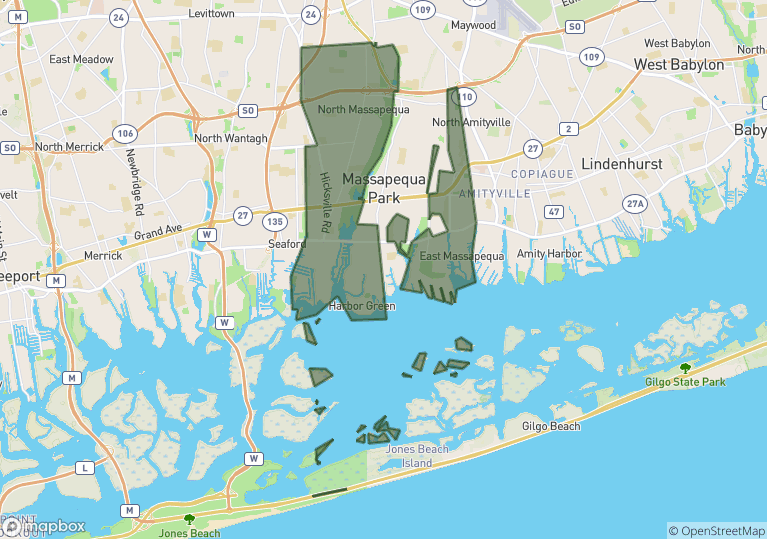 Massapequa is made up of Massapequa, Massapequa Park, North Massapequa and other neighborhoods. Public education in the hamlet is provided by the schools of the Plainedge Free Union School District. Schools in the community include East Plain School, Charles E. Schwarting School, and Plainedge Senior High. Whether you are searching for your first home or a place to retire, whether your family is big or small, Massapequa has what you seek. Homes for sale range from modest abodes up through historic and luxury homes. Other real estate options in the community include rental properties such as apartments and houses to townhomes and condominiums for sale or lease. To begin your home search today, call local real estate agent Edward McNulty at (516) 887-3603 today.